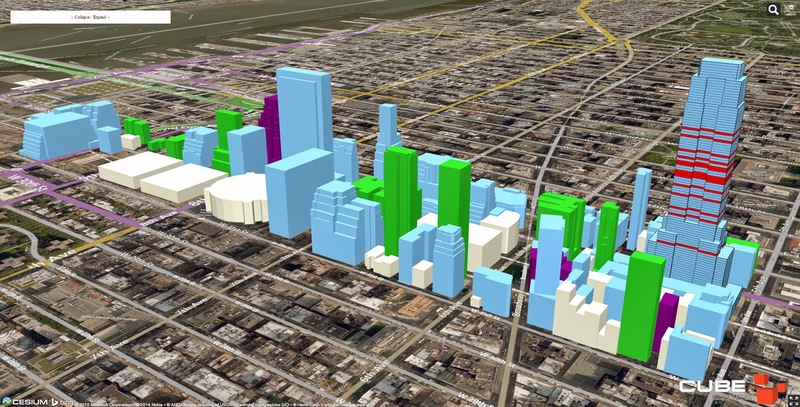 Cube Cities is now developing real estate data visualizations based on Cesium, a new virtual globe software that is extremely versatile. Cesium delivers fast 3D data visuals that work easily in all modern web browsers without a plug-in. With Cesium and Cube Cities, the real estate markets of large urban areas like Manhattan can be easily explored with an iPad. 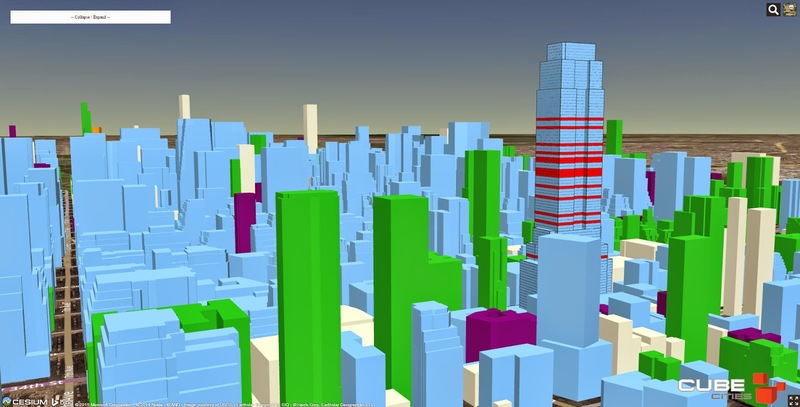 The graphics below are Cube Cities application screenshots that illustrate the currently available floors in The Empire State Building, the data is from Empire State Realty Trust. Background office buildings are colored in blue, multifamily buildings in green and hotels in purple. 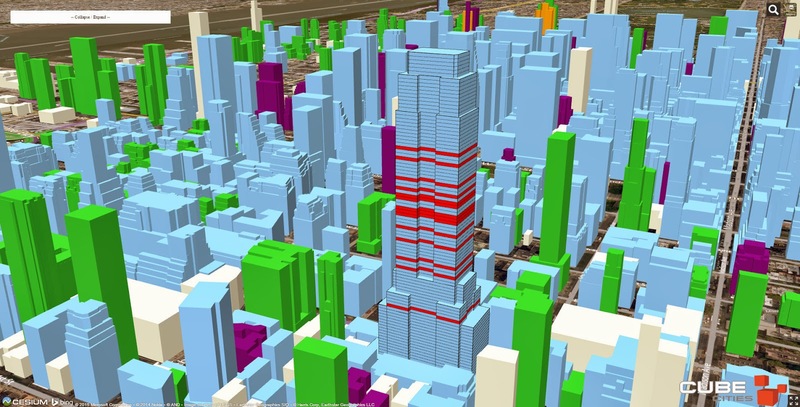 Contact us to see any building visualized in 3D, on a discrete floor level, using Cesium.